Long time ago that I did not work with t-shirt yarn. work with this material when I see as projects grow. 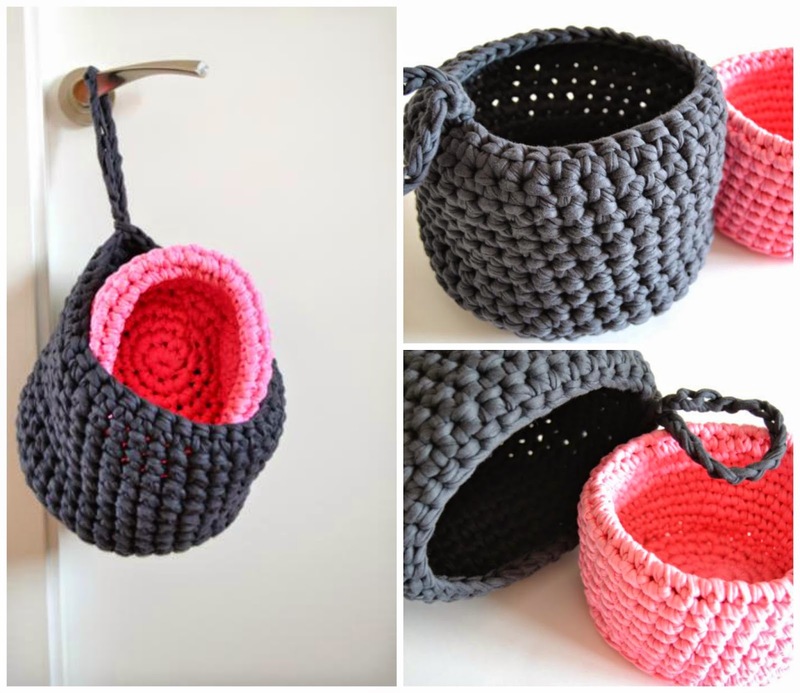 The t-shirt yarn is ideal for to make baskets. And I think the grey and pink look very well . For these projects I worked with a 9 mm crochet hook. The grey basket has a chain for to hang. Very useful, right? for to make it very high and then folded to give more rigidity. 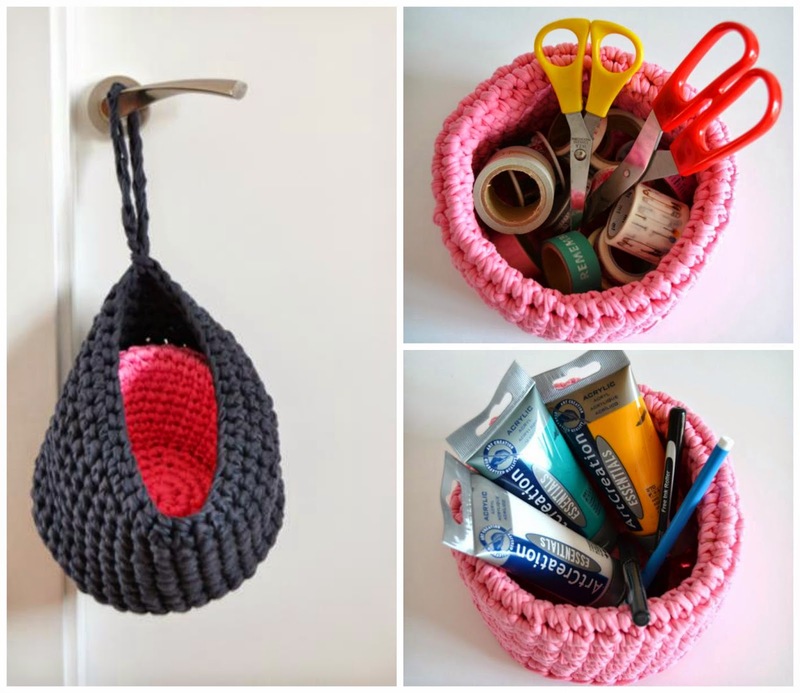 for keeping tidy our craft rooms! she must always be well busy! very soon I show you here! A big hug dear readers. and many thanks for your kind comments. 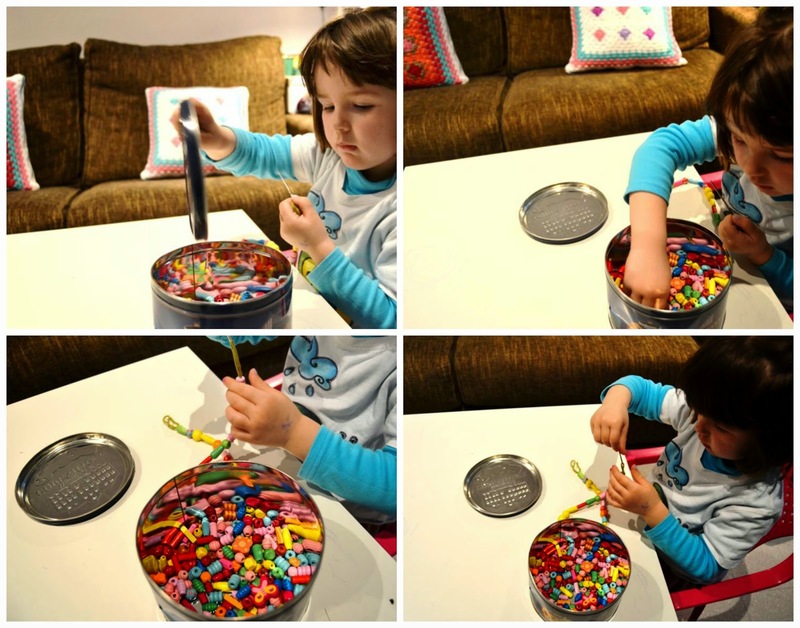 Cristina, what a wonderful blog you have with so many brightly colored projects to show us. I love the cowls and mittens you have made this winter. Also I am a bit jealous of your gorgeous wool order you got. May you have many hours of pleasure with all that glorious yarn. Hugs to your darling daughter, may Spring bring us one step closer to Peace. What a lovely basket! I like work with T-shirt yarn and I realize a basket too , but mine seems 'rough' :( http://tamapollo.blogspot.it/search/label/recycle Maybe I cut the t-shirt not so well? Bona idea reciclar arracada!!! i aquesta és preciosa! però no he trobat el moment. É una aplicació, oi???? 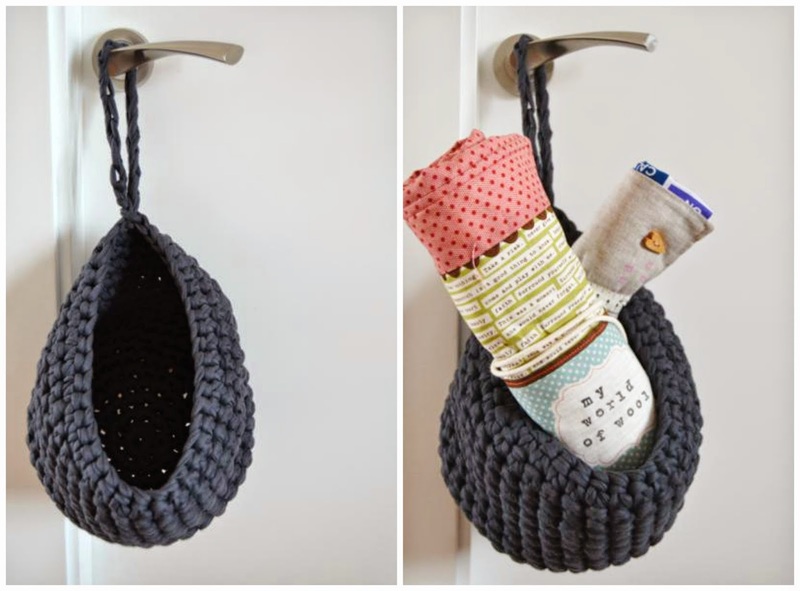 I love your crochet baskets, they look really beautiful and textural! 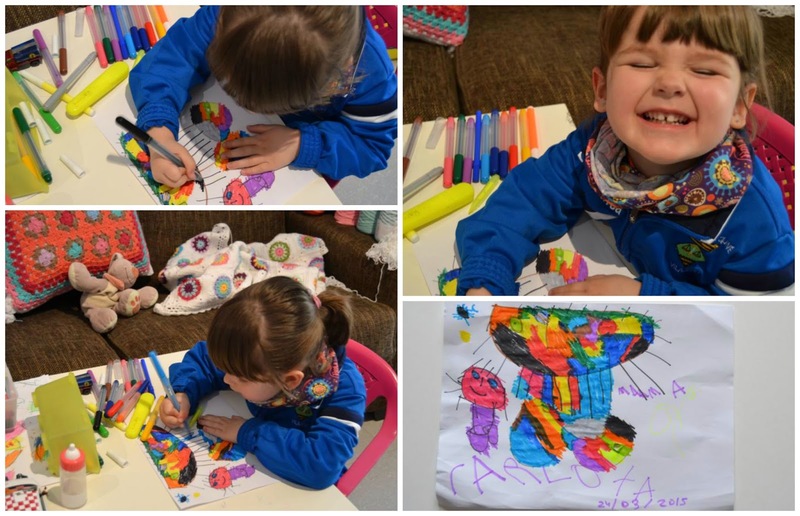 Your little girl is so cute...and such a talented little artist already, how nice that she has lots of bright and cheerful craft materials to be creative with too.